The Grünfeld is an exciting and dynamic answer to 1 d4, and has become very popular at all levels of chess. A major reason for this is that it has been a long-time favourite of the World's strongest-ever chess player, Garry Kasparov. The Grünfeld very much relies on the principles of the hypermodern school of chess: Black allows White to erect an impressive-looking centre on the assumption that in the long run it could prove to be more of a liability than an asset. Play often becomes very complex and tactical, one of the reasons the Grünfeld appeals to ambitious players. 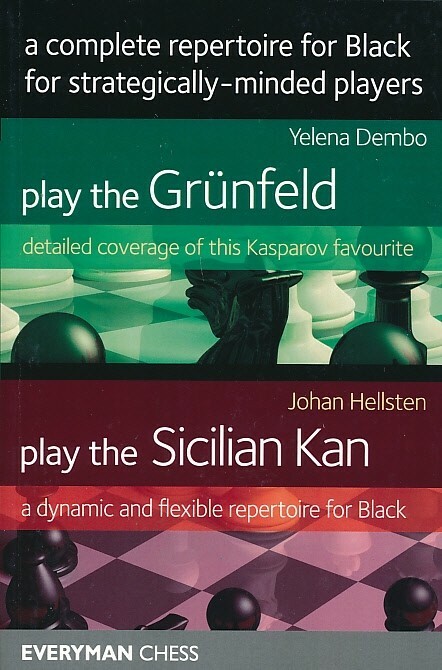 In Play the Grünfeld, however, opening expert Yelena Dembo circumvents this problem by producing a comprehensive and yet workable repertoire for Black, offering a solution against each of White's tries, whether it's a critical main line or a tricky sideline. 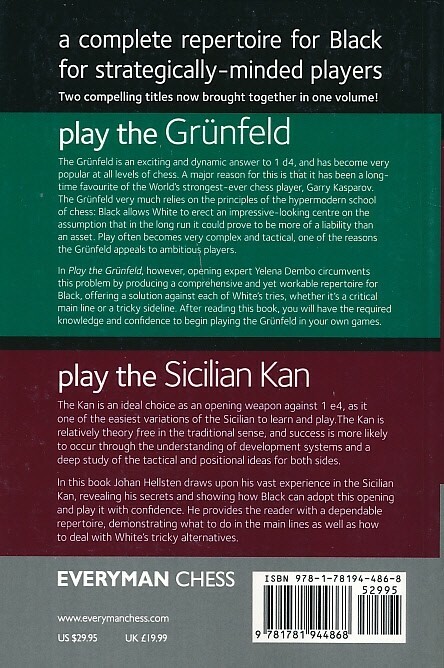 After reading this book, you will have the required knowledge and confidence to begin playing the Grünfeld in your own games. The Kan is an ideal choice as an opening weapon against 1 e4, as it is one of the easiest variations of the Sicilian to learn and play.The Kan is relatively theory free in the traditional sense, and success is more likely to occur through the understanding of development systems and a deep study of thetactical and positional ideas for both sides.